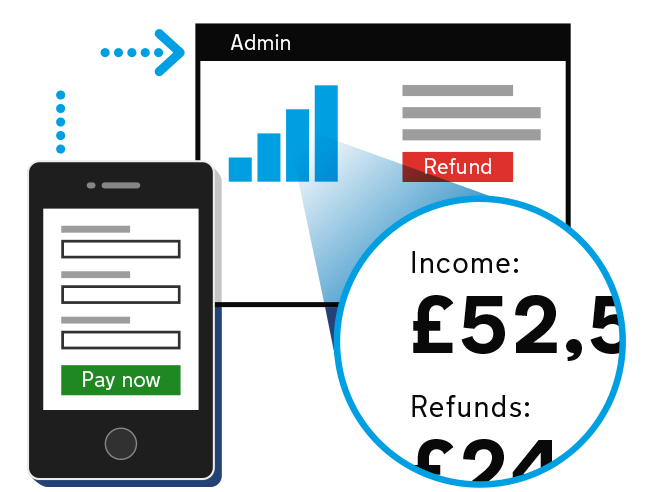 GOV.UK Pay is a free and secure online payment service for government and public sector organisations. GOV.UK Pay is free to use. We want to make it easier for citizens to pay for government services. It’s painful enough that you have to pay for them, but at least the choice of payment types and user experience while you go through the process should be as convenient as possible. And then there’s the part for civil servants, or people that work in government, where we want to make it easier for them to do all the things that are connected to receiving payments. They should just be as slick, easy, and frankly as cheap as possible. Right now central government has hundreds of direct integrations from government services straight into payment providers, which makes it very hard to launch, change, or to make changes across government. If you have a payments platform, you plug all of them into the platform, make one change across the platform, and then just switch them on across government. It will be easier and more convenient for citizens to pay government. It will be easier to launch new government services and do the reconciliation, user support and refunds. And then we can launch new innovative stuff quite quickly and easily across government. So here we do it once, we do it right, we do it securely, we do it with a good user experience and at a low cost. Reporting and refunds can be done using the UI or the API. You can choose full or partial refunds. The payment pages are designed to work on all devices, including mobiles. They give helpful inline error messages, so users know what to do next. Let your users make online card payments to your service, even if you don’t have a digital service. You can easily create a payment link to use in your paper forms, letters, or emails. Contact the team to ask a question. Follow our guide to getting started to create an account. GOV.UK Pay is built and supported 24/7 by a full-time team at the Government Digital Service. The service manager is Till Wirth. Find out how GOV.UK Pay helped the Disclosure and Barring Service save time and reduce risk. GOV.UK Pay is available to all government and public sector organisations, including central government, local government and the NHS.